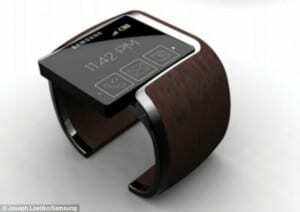 This week was really full with news about the new Samsung SmartWatch concept which will probably launched soon. Today, we found out about some concept images which were launched in South Korea. The images are letting us know that the Smart Watch of Samsung will have a flexible display. It seems that the images were discovered at the Korea Institute of Patent Information and they are referring to a SM-V700 model number for the future device. This is really interesting because we already heard some rumors about the same model number and the whole story seem to be true. However, we need to wait for official confirmation about the name of the device. The device model number was also seen on an Indian logistics website which is announcing us that Samsung shipped the device for R&D purposes. Some reports are announcing that Samsung Germany is testing the device and is making it ready for the big entrance which will took place at the IFA 2013 unveiling event. The device will probably be the brother of Galaxy Note 3 in the event. The pictures found at the South Korean Patent Institute are telling us that the device will have a microphone and a speaker. Also, back and menu buttons will not be missed, as well as an USB port. However, we will have to wait for official announcements or for other leaks to confirm the information.